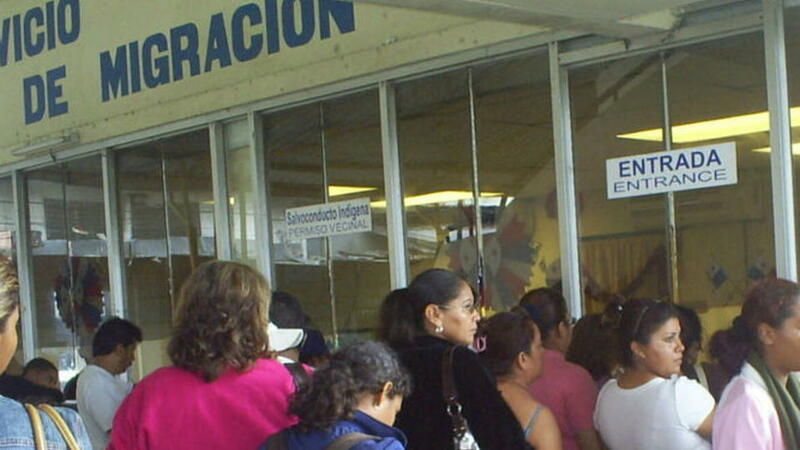 A failure in the ‘sistema’ – system – had thousands of people arriving or leaving Costa Rica waiting. And waiting. And even more waiting. 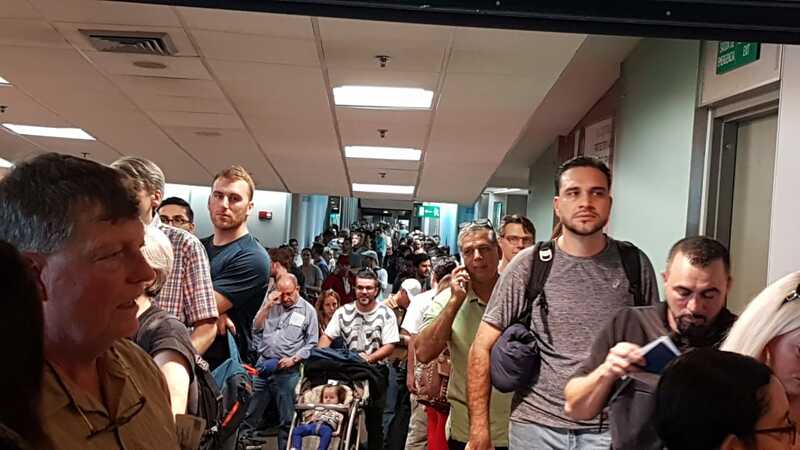 For the passengers of more than a dozen flight arrivals at noon at the Juan Santamaria (San Jose) airport on Saturday, the wait was four hours. The “great hall” of the San Jose airport Saturday afternoon. For passengers leaving, the line for the security immigration check was outside the terminal doors, on the sidewalk of the departures level. 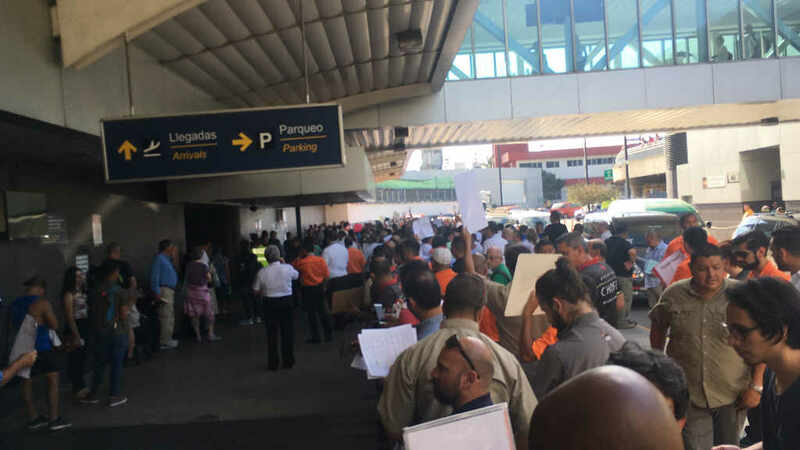 Similar reports came in from Liberia, Daniel Oduber International, though the wait and lines were much shorter due to it being a smaller airport and fewer flights. Apparently, though it has been difficult to get a straight answer from airport and immigration officials, given the failure was in the Poder Judicial (Judiciary) system that was undergoing a maintenance routine. The Judiciary would not comment. 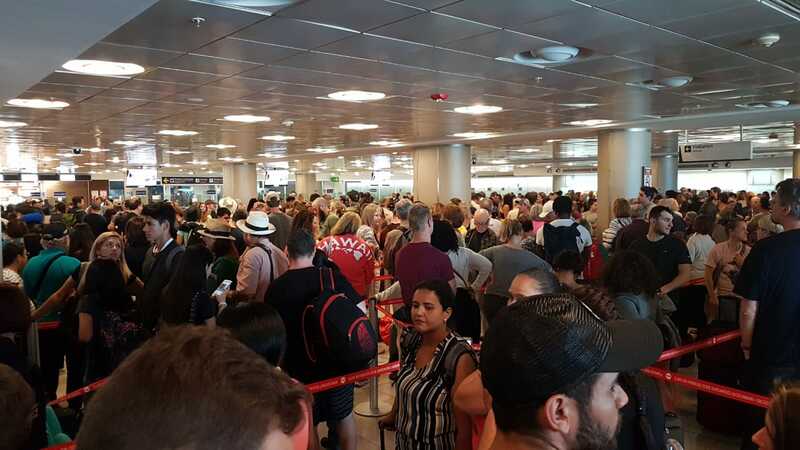 All we know is that the system failure would not permit a connection to the Interpol used by the Dirección General de Migración y Extranjería (DGME) – immigration service – for a background check on those arriving or departing. “The only way to consult Interpol is through the Judiciary, as stipulated in the regulations of this institution,” added DGME statement. Que horror hacer un mantenimiento de este tipo en horas pico! Hasta 4 horas de espera! The Interpol consultation consists of a search of any outstanding warrants and of lost or stolen passports worldwide. When the Interpol connection is lost, immigration officials have to literally call on the Judiciary for a manual check on items that include international arrest warrants. Thus, the time of less than a minute for the online check and response by the attending immigration official turned into minutes and a nightmare for travelers. This is not the first time travelers have had to endure a system failure. In fact, there have been a couple before yesterday in the last couple of months. But they only lasted minutes, not hours. On repeated occasions Migration has requested another access point, to avoid this type of situations, however, they have been informed that it cannot be. “Even under these conditions, migration control is carried out with responsibility, the Migration Directorate has tried to cover with personnel the positions available for control, with the commitment to safeguard national security. In addition, through the immigration police, it is executing forceful actions through effective migratory control,” said Raquel Vargas, head of Costa Rica’s immigration service. For arriving travelers, besides the air conditioning system not meeting capacity, travelers were stuck in the ‘great hall’ and hallways of the arrivals level without access to water or food. “Bathrooms there are a few, but not merely enough,” one traveler told the Q. For departing travelers, many had to brave the heat and sun, standing outside, on the sidewalk of the departures terminal, in line, waiting. The system failure occurred around noon, it wasn’t until almost 4 pm when all systems were restored. Next articleWelcome to Costa Rica. Wait…wait…wait…wait…wait…wait…wait…ok, you are cleared to enter (or leave)!